I teach mindfulness and compassion. I work with groups, I train mindfulness and MBSR teachers and I work with individuals. I teach the Dharma (Buddhist teachings) in the Vipassana (Insight Meditation) tradition. I teach curious, engaged people who have some experience with mindfulness meditation and want to learn more. 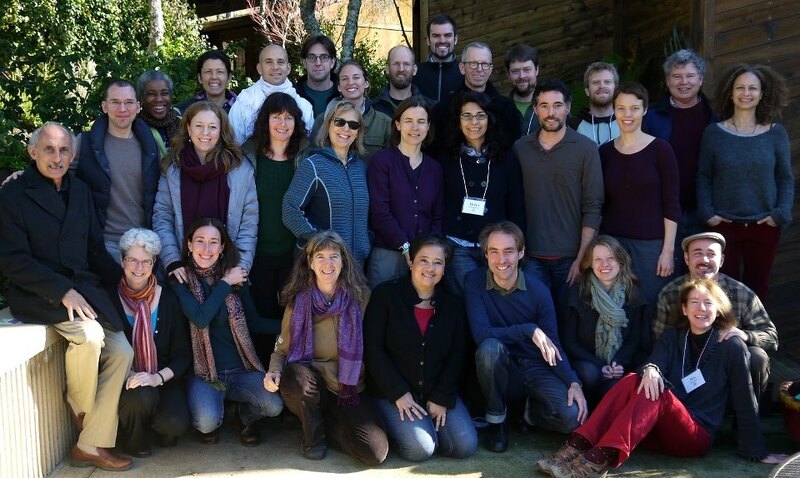 Some of my students have just finished their first class or retreat and wonder “Now what?”. Others have been practicing awhile and want to take their practice deeper. In all cases they’re looking for personalized guidance to apply mindfulness to the challenges they face in their own lives. Another group of my students suffers from chronic health conditions and chronic pain. 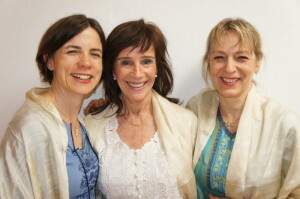 I guide and support their path to wholeness and self-compassion – and the re-discovery of joy. How do I do that? I draw from my experience as a meditator and student of over 25 years of the Insight meditation teachings. I combine this with my curiosity about science and research which stem from my training and practice of being a physician. And lately I have added Martha Beck’s “life coaching” to my portfolio (which one of my psychologist friends calls “crossing over to the dark side”). But even when working as a physician I was convinced that “whatever or whoever heals is right.” I’m also a mom, a wife, a friend, a sister, a daughter. All this helps me to tune in with where you are stuck and bring it to light – just like I did with the other stuff when I was still practicing surgery. Ouch. I’m a recovering too serious person. I practice joy, play, gratitude and humor – seriously! Research backs what I see firsthand everyday. Mindfulness and meditation help to rewire old patters. Practicing compassion helps with seeing clearly what I do and what the consequences of my actions (or non-actions) are. Not taking myself too seriously. I practice yoga and running and I love dancing (I’m a child of the house and techno generation, but also enjoy classic rock and funk, oh – and Triphop). I practice dancing in the tradition of Gabrielle Roth’s 5 rhythms, but any good old club will do. It balances all that meditating really well. Christiane is an internationally respected mindfulness and Dharma teacher, trainer, speaker and author, based in Los Angeles. She is a senior teacher at InsightLA. She is known for her precise style, humor and groundedness. 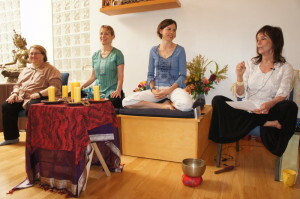 She teaches from the heart of her own practice which began over 25 years ago. Starting her professional life as a physician in academia in her native country Germany Christiane switched gears after moving to the US in 2003 and made the other big passion of her life – mindfulness meditation – her profession. Christiane is a senior certified Mindfulness-Based Stress Reduction (MBSR) trainer and is on faculty for the Center for Mindfulness, University of Massachusetts Medical School. She teaches and trains both in the US and in Germany. Trudy Goodman, founder of InsightLA and one of the most respected senior mindfulness teachers in the US, is her main teacher. Christiane received teacher transmission from her in 2011. 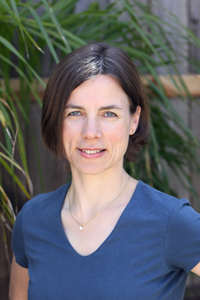 Christiane is a graduate of the 4 year Insight meditation and retreat teacher/ Dharma teacher training under Jack Kornfield and Joseph Goldstein (organized through Spirit Rock Meditation Center, Insight Meditation Society [IMS] and Insight Retreat Center [IRC]). She is authorized to teach Dharma (Buddhist teachings) in the Thai Forest Monastery tradition. 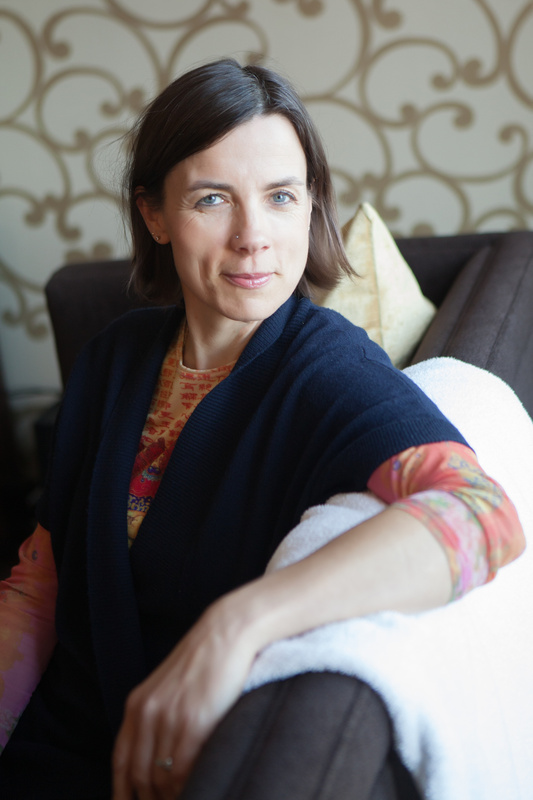 Christiane is the Director of MBSR programs at InsightLA, a Santa Monica based non-profit. She is also the program director and lead instructor for VA CALM, a MBSR, mindfulness and self-compassion training program for clinicians at the Greater Los Angeles Veteran’s Administration. Christiane received her medical degree and completed her postgraduate training in obstetrics and gynecology from Humboldt University in Berlin, Germany. She also holds a PhD in Psychosomatic Medicine from Humboldt University. Christiane is also a certified Martha Beck Life Coach (Martha Beck is a contemporary mystic who holds a PhD in Sociology from Harvard, is a NYT bestselling author and a monthly columnist for the Oprah Magazine). Christiane lives in Los Angeles with her husband and their three children. Here is a pic with the Spirit Rock/IMS Teacher Training group in 2012. With senior teachers Jack Kornfield, Andrea Fella and Phillip Moffit. InsightLA is a Santa Monica based non-profit and my spiritual home base. 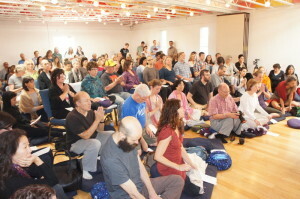 Trudy Goodman, a zen-vipassana hybrid teacher, founded InsightLA in 2002. I joined her when we moved to LA in 2003. I had been practicing vipassana (Insight meditation) many years in Berlin and in the UK before, but Trudy soon became my main teacher. I started teaching with her and for InsightLA in 2004. Since it’s tiny beginnings InsightLA has grown to a nationally known and respected organization that is dedicated to teach mindfulness and compassion to people from all walks of life in the secular format of MBSR and in the words of the Buddha. We have an amazing community of teachers and students and I’m honored to also sit on the InsightLA teacher council.